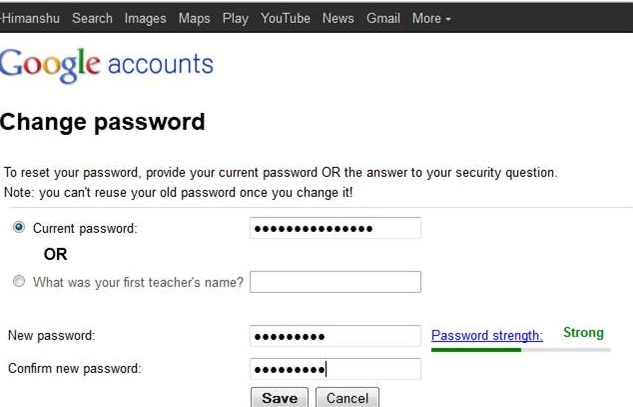 Changing a Gmail Password is very much simple. In this post , I will explain step by step procedure to change Gmail password. Requirements : You must know your Current Password , in order to change it.In case you Don't remember your current password , still you can change it by answering the Security Question that is asked whenever a user registers email-id. Step 1 ) Log in to your Gmail account. Well type in your username or email address and Current password and log in to Your Gmail account. 2. Step 2 : Click Your Name or Small thumbnail pic Button at the Top Right corner of Screen as shown in the image below. 3. Step 3 : After clicking at the Top Right area , a pop-up will open as shown in the image above , in that pop-up Click on Account. 4. Step 4 : Clicking on Accounts will open window shown in the image below. In that , Click on Security , and you will see the Change Password Option under Password Management. Click on Change Password. 5. Step 5 : Clicking on Change Password will open a Final window , where you need to type your Current password or answer your Security Question and Finally you need to enter your new Password twice. The password strength is shown near the tab . 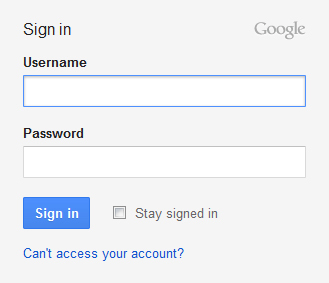 Finally You are done , You got new Password , Use this to Login to Your Gmail account further. 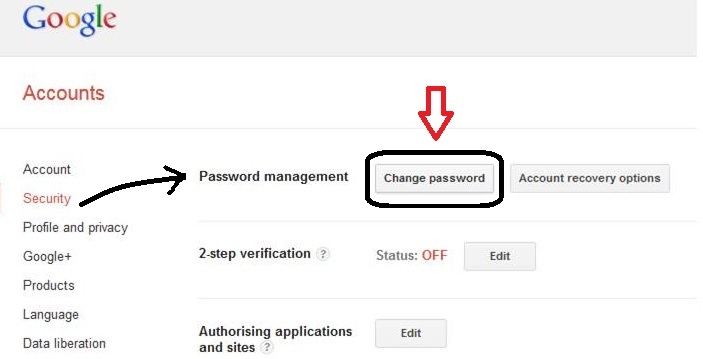 I hope you have easily succeeded in Changing your Gmail Password , in case you are facing any difficulty , Comment below! We will help you!